We have a fun thing coming up at my church and the committee in charge has asked for people to lend them their advent calendars to be used as decorations and table center pieces. Because of this I've got advent calendars on my brain! 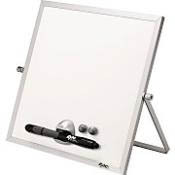 So, in a nut shell, the expo board is magnetic and you just decorate your pieces, and magnets to the backs of each piece, cover the board with paper and then stick your pieces to your board. 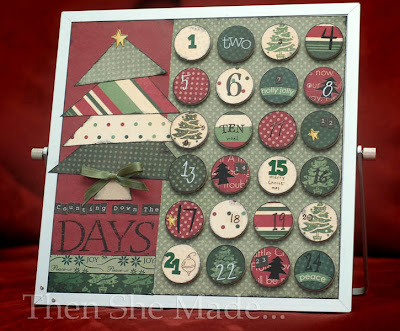 As you countdown, you remove one piece a day and place it on the back of the board. The cool thing I love about these is that once you are done, you just fold in down and store it for next year. It's also not huge so you could use it on your desk at work or in other small spaces. I love this! 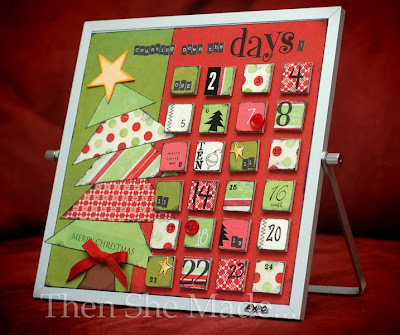 I'm featuring it on my blog today. Thanks for sharing!